Our annual Halloween Sewing Contest it back! 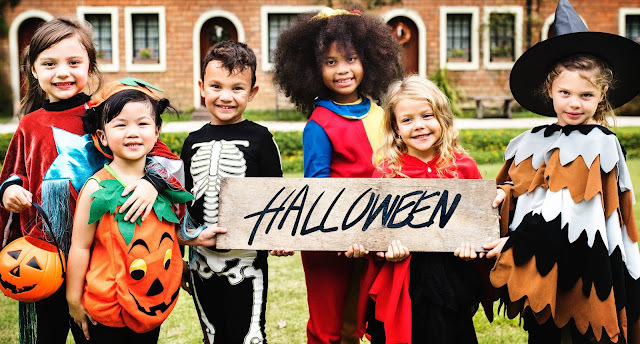 Just share with us your handmade Halloween costumes and you will be entered to win a $50 Girl Charlee gift card to girlcharlee.com! To enter send pictures of your completed DIY costumes to gcblog@girlcharlee.com by Friday, November 2 and we will announce the randomly selected winner on Monday, November 5th. Good luck!! Sew up Halloween costumes for you and your loved ones. 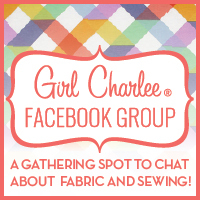 Send 1 to 2 images* of your finished projects to gcblog@girlcharlee.com. All projects must be submitted by 11:59 PM PST, November 2nd, 2018, and one winner will be announced on November 5th. Please share your projects on social media using the hashtags #girlcharlee and #gcsewandwin. We wish you the best of luck and cannot wait to see your costumes! 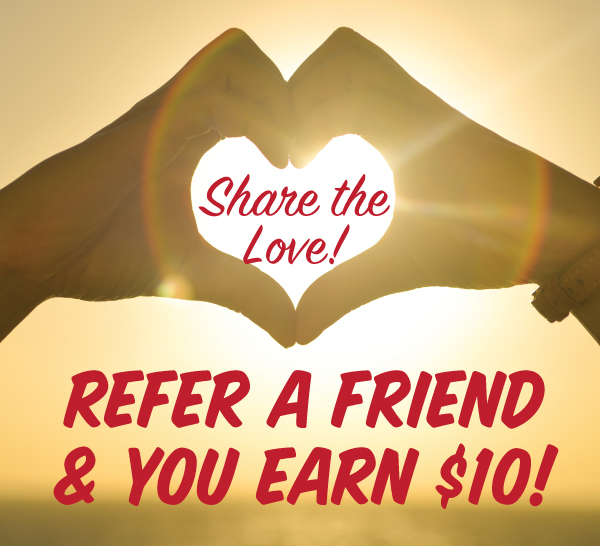 *Please note that all images submitted for the contest gives express permission to Girl Charlee for promotional use. The impossible has happened! Hair scrunchies are back in style AND Miss Girl Charlee herself is a huge fan. She is also now in High School (aging myself here I know) and her Cross Country running team all love them too. For a recent team gift exchange, I decided to use some cotton spandex knit fabric, my Janome sewing machine, and my Cricut Maker to whip up some Team Spirit Scrunchies for her to gift. Instant hit! Even if using printed knits, or any kind of fabric and leaving off the embellishment, just follow this tutorial and you can put these together in no time! Open the Knit Fabric Hair Scrunchie project in Design Space. 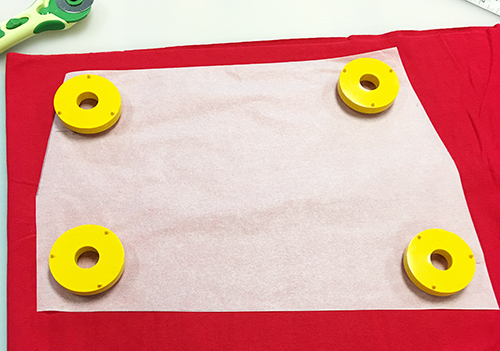 You will see the fabric rectangle measuring 4" x 20" for the fabric cut that makes up the body of the scrunchie. 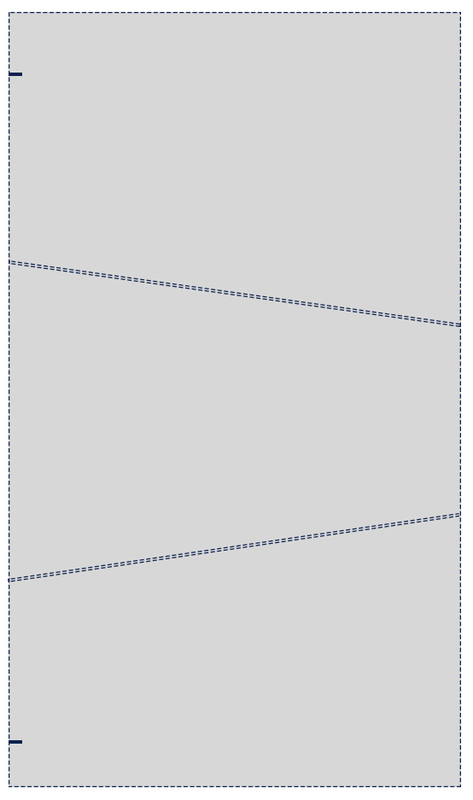 You will also see the Jackrabbit graphic laid out on top of the rectangle as an example of how you can add the iron on graphic if you desire. To add your own graphic just click the Upload icon on the left menu and follow the prompts to upload your design. 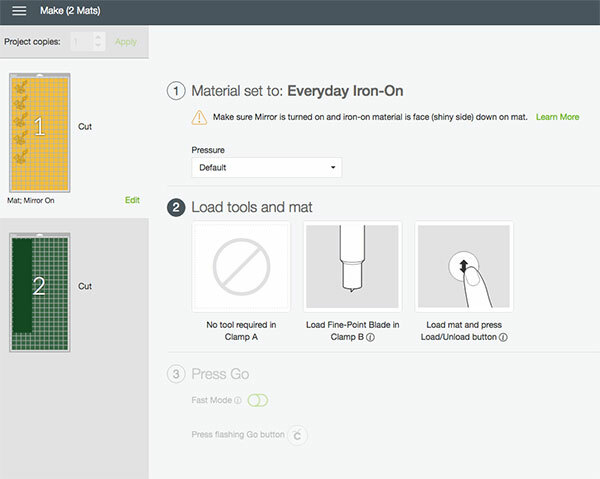 Click the "Make It" button to proceed to the mat preparation and layout screen. I made multiple scrunchies at one time, so if you wish to do the same just stick on as much fabric onto your mat as needed to make as many fabric cuts as you would like. I made two for this tutorial. Take your knit fabric and cut a rough 12" x 24" piece, iron it (I used my Easy Press as it has such a nice big surface and gets nice and hot). Next, apply your fabric onto your mat right side down without stretching it. Remember if you are using any kind of fabric with a fuzzy or nap surface be sure and keep the fabric nap side up to avoid it all sticking to your mat! 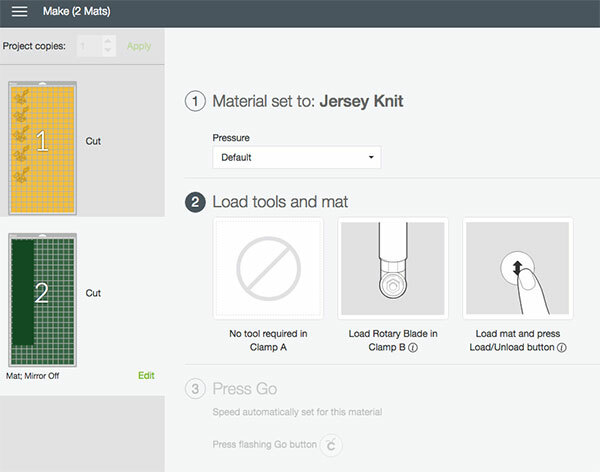 Set your material type to Jersey Knit with normal pressure and install your rotary cutter tool. No need to mirror so start your cut! 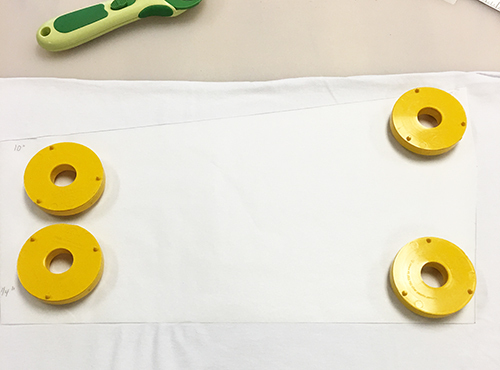 If you want to skip the iron-on vinyl embellishments go to Step 5, otherwise once your fabric cut is finished lay your iron-on vinyl shiny side down onto your cutting mat, SELECT MIRROR, and in Design Space set your material type to Everyday Iron-On, default pressure, and install your knife tool. Then start your cut. This was my first project using the Everyday Iron-On and I give it a two thumbs up! Weed out your vinyl graphics and remove from your mat. 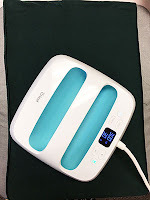 With your Easy Press, and Easy Press Large Mat, set your temperature to the recommended temperature and time, and then when ready iron the fabric scrunchie pieces to remove any wrinkles, then iron on the vinyl graphics where you would like them. 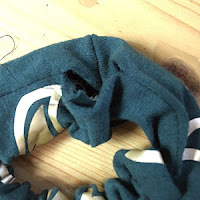 To sew your scrunchie fold your fabric in half down the length and press. Sew down the length 1/4" from the raw edges, leaving about 2" on each end unsewn. 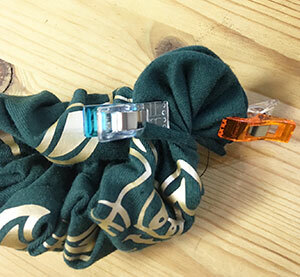 Next, with a safety pin, pencil, fingers, or turning tool turn your scrunchie back to right side out. Flatten out fabric by hand with the seam in the middle and facing up. Take your elastic piece and clip onto one open end with a clip or pin, and then attach a safety pin and run the elastic through the fabric opening to the other end and secure with a clip to hold it. 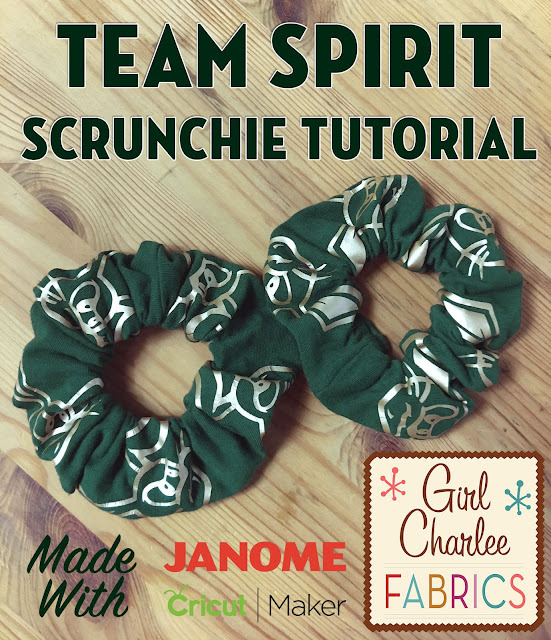 Your scrunchie is now starting to look like a scrunchie! 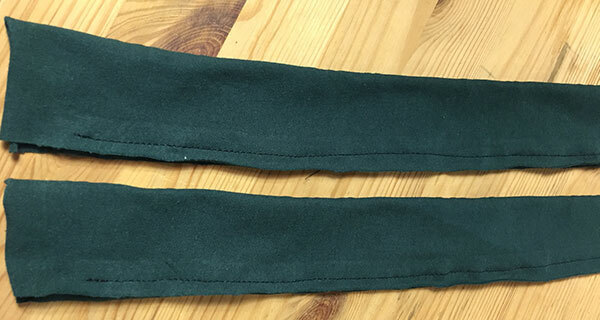 Overlap your two elastic ends about 5/8" and zigzag stitch on your sewing machine to secure the elastic. 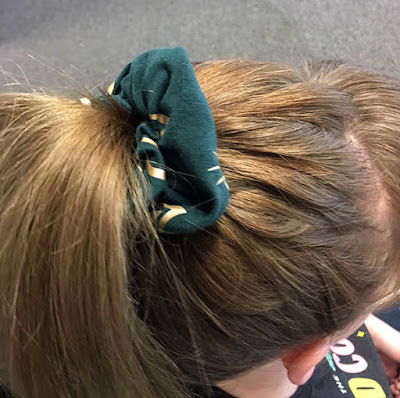 It is important to make sure this stitching is secure as there is nothing worse than a scrunchie with no stretch :( Take the two ends of the scrunchie and match them wrong sides together and clip/pin. Sew them together end to end and then flip it through so the seam is now inside the scrunchie. 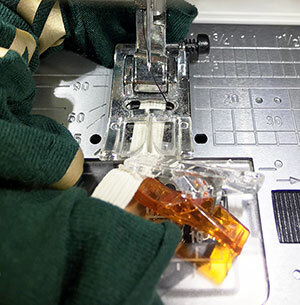 You will have a small opening that you can close by sewing along the scant edge. Voila, you are done! We hope you enjoy this tutorial! We love to see what you sew up so please tag us on our social media #girlcharlee #girlcharleefabrics #janome #janomeartisian #cricut #cricutmaker. Our August Customer Spotlight features Zenaida Bocian of The Aron Collection, a trendy handmade turban headband line full of cute and cozy headbands for the whole family. 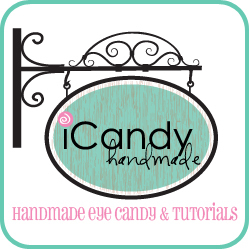 Below is more about Zenaida and her growing handmade business. Enjoy! Hi! I am Zenaida, the maker behind The Aron Collection. 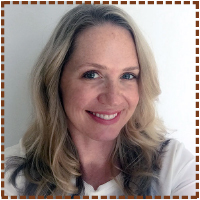 I am a wife, mom of two boys, and a former middle school teacher turned stay at home mom. Our little boy, Aron, was diagnosed with autism in 2017, and his journey with the disorder quickly became the inspiration for the shop. 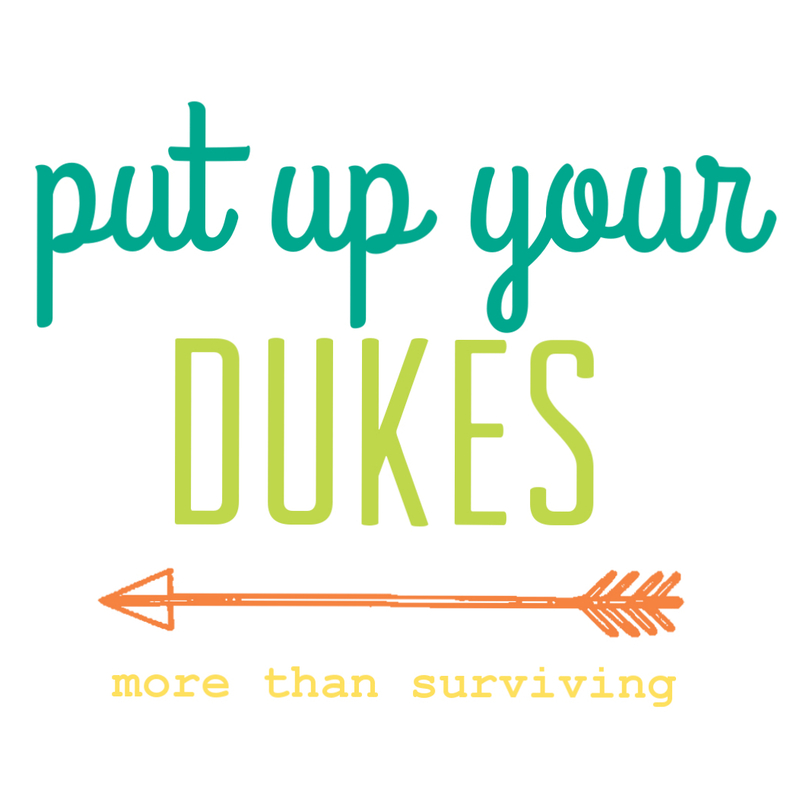 Not only did I want to create headbands for my day to day life, but I also wanted a way to give to the amazing small non-profits that were helping parents with this disorder. So, The Aron Collection was born in our living room after months of testing out our design and making sure that our headbands were a product we were truly proud of! 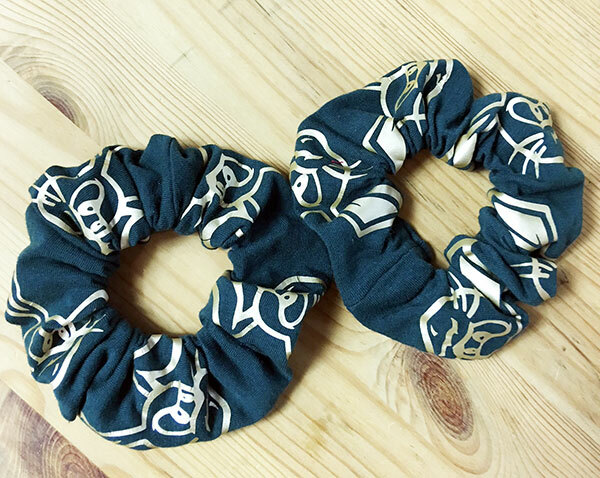 I wanted to create headbands that could both hold up in a workout and look cute on a Target run. Since opening my shop in October 2017, the most exciting thing is not only getting to make our headbands, but also send them out to different states all over the country. It is such an honor to know that there are women and children wearing our turban and twist headbands! 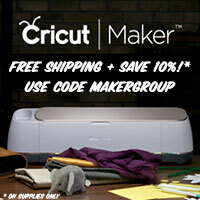 Etsy has been such a great platform to build and continue to build my business. The majority of the headbands in the shop are made with Girl Charlee Fabrics! I love that we can offer a variety of beautiful prints and solids for any age group because the fabric options are endless. 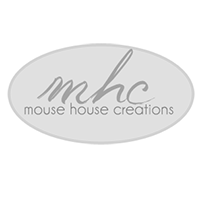 I hope to continue to learn different designs and expand the shop this year. Thank you for giving us the opportunity to share my story! Visit The Aron Collection today! Our July Customer Spotlight features Krystal Shaw of Random Rompers, a growing children's clothing line that features cute and affordable handmade creations! 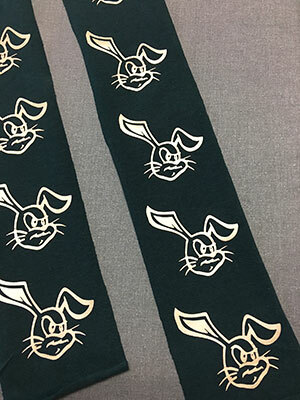 With several customization opportunities, these made to order garments for your littles are each one of a kind. Below is more about Krystal and her handmade business. Enjoy! Hi, I’m Krystal, creator and owner of Random Rompers. I knew in high school I wanted to do something related to fashion, so I studied Fashion Design in college but didn’t do a whole lot with my degree right away. I started Random Rompers almost 3 years ago. RR was born out of necessity and I was doing custom sewing for lots of different customers, but that wasn’t getting the bills paid. I made a couple of baby Rompers from fabric that I had in the house and Random Rompers was born. I didn’t ever expect it to become what it is today. I absolutely love making rompers. I made about 6 different pattern types, and adjusted them as needed so my customers can mix and match styles and colors. The key to Random’s success is definitely the customizable options I offer to my customers. Along with Rompers, Random Rompers offers Shirts, Leotards, and Infant Gowns! There is nothing more relaxing then being behind the sewing machine for me, and nothing more rewarding then when I know I made another mom happy by styling her little cutie! Random Rompers started with me doing everything- from cutting to sewing to packing. Luckily over the past two years we have grown and now my Husband, Michael, is able to work at Random full time as well. It’s amazing to be able to spend so much time at home and with our kids. 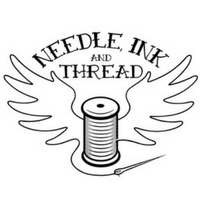 We have recently hired on 4 seamstresses to help out and will be moving into our very first office space next month! I feel very lucky to not only have this amazing brand I created but to have my husband help me build it is the icing on the cake! 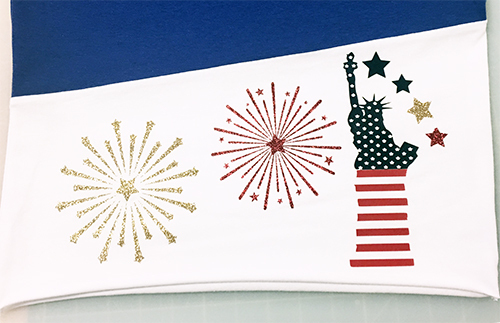 The winner of our Red, White, and Blue Sewing Contest is...CHERRY!! Congratulations Cherry and a HUGE thank you to everyone who took the time to show us what they made for themselves and their loved ones this 4th of July. As always, it is very exciting to see all of your amazing projects and creativity. 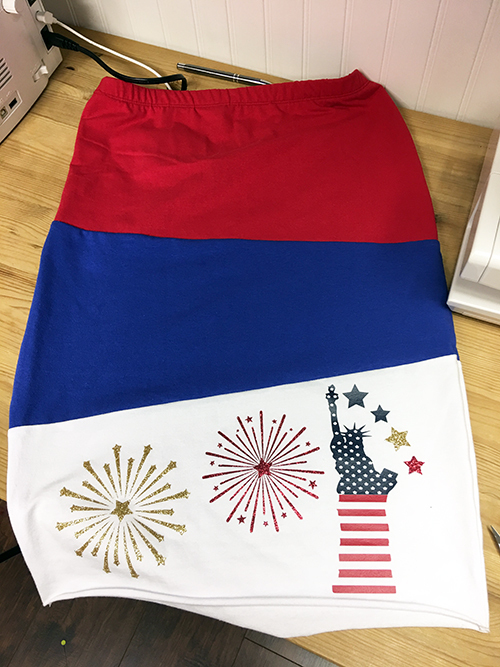 With so many incredible contest entries, The Girl Charlee Team wanted to show off a few more patriotic makes. Thank you to all of our participants for sharing their beautiful handmade projects with us! 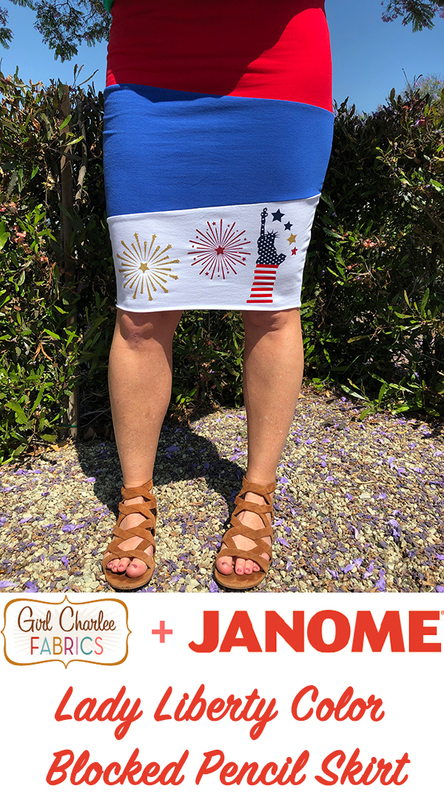 In keeping with the upcoming patriotic summer holidays, I am going to show you how to take my popular Girl Charlee Fabrics Easy Pencil Skirt Sewing Pattern, my Janome serger, my Janome sewing machine, and my Cricut Maker, to transform the patternless self-drafted pencil skirt instructions into a color-blocked sewing pattern and create the Lady Liberty Color Block Pencil Skirt! easy pencil skirt pattern - Purchase pattern here! Follow step 1 of the Easy Pencil Skirt Sewing Pattern to determine your skirt measurements. Take your ruler and pattern paper and draw your skirt rectangle onto the paper. To create your three color-block pieces just follow the image below. Mark your waist 3" from the top on the left, and your hem 1 1/4" from the bottom on the left. 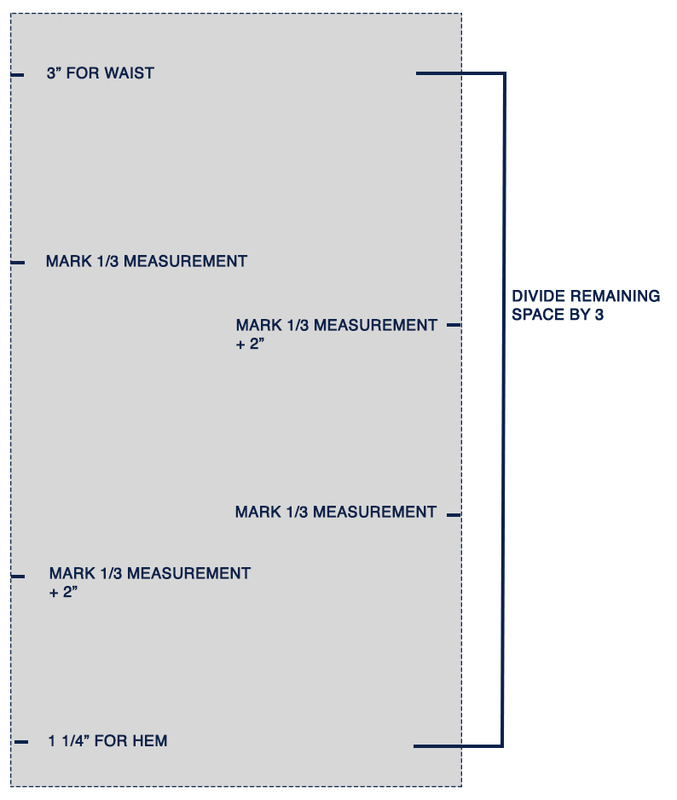 Measure the remaining length between those two measurements and divide that amount by 3. From the waist mark at the top, mark your 1/3 measurement on the left. From the hem mark at the bottom, mark your 1/3 measurement on the right. From the waist mark at the top, mark your 1/3 measurement + 2" on the right. From the hem mark at the bottom, mark your 1/3 measurement + 2" on the left. With your ruler and pen/pencil, draw a line from the 1/3 measurement on the top left to the first 1/3 measurement + 2" on the right. Then draw a line from the remaining 1/2 measurement on the right to the 1/3 measurement + 2" on the left. 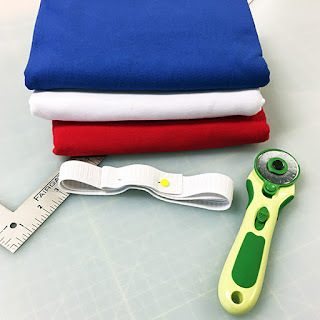 Follow the pencil skirt instructions to create your tapers on the top and bottom of the pattern, then cut along your drawn lines with your scissors to create your three pattern pieces! With your three different fabrics fold them right sides together, selvedge to selvedge. Determine which color you want on which section of the pattern and then place the pattern on the fabric of choice with weights or pins. Using your rotary cutter cut around the pattern. 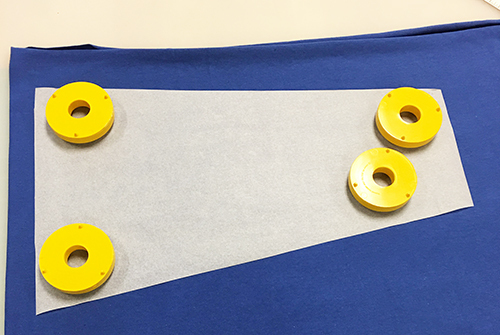 For each of the three colors, you will have two mirror pieces for the front and the back of the skirt. 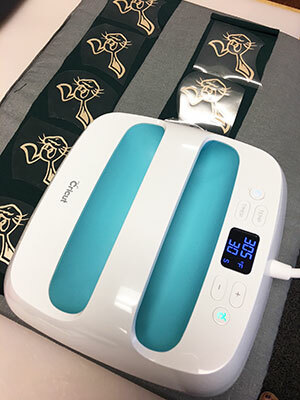 If you have a Cricut Maker and you want to add some iron-on vinyl embellishments click here for a quick tutorial on how to do it. If not skip and move to Step 4. Lay out each of your skirt pieces (top, middle, and bottom) to check that you have them all right side up and the angles are all going in the right directions. Double check again (or you will have to cut new pieces like I did the first time lol)!! 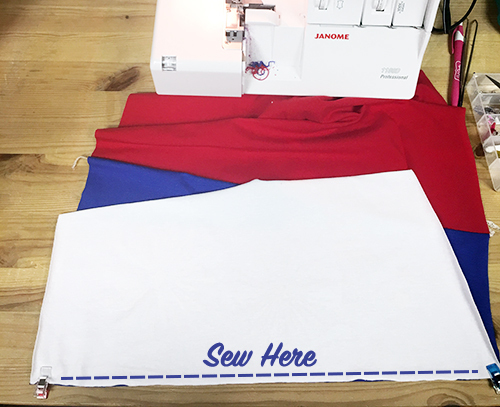 Layout the top piece right side up, and then lay the middle piece wrong side up over the top piece, lining up the bottom of the top piece with the top of the middle piece, and sew them together with your Janome Overlock/Serger set up with the 4 thread safety stitch. Now repeat with the bottom piece onto the sewn middle piece. Repeat with the back piece. Press the panel seams to neaten them. Follow the rest of the instructions in the Easy Pencil Skirt Sewing Pattern and you are DONE! We hope you enjoy this tutorial! 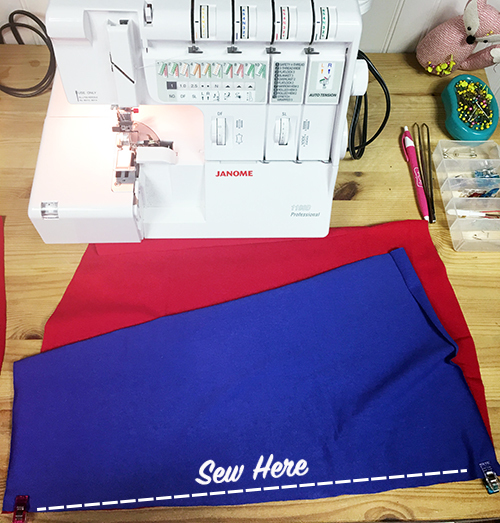 We love to see what you sew up so please tag us on our social media #girlcharlee #girlcharleepencilskirt #janome #janomeartisian.